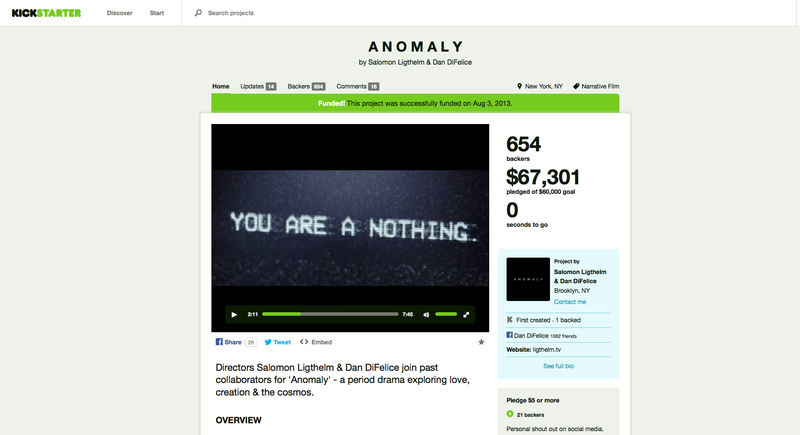 Lume Creative | Anomaly film succeeds on kickstarter. Anomaly film succeeds on kickstarter. Thanks to all our wonderful supporters, we have successfully raised the funds, shot the movie and are in the final stages of post production for the film Anomaly.